First, they started a Revolution. And now? They’re setting you free to create, inspire, learn and share your skills and look! 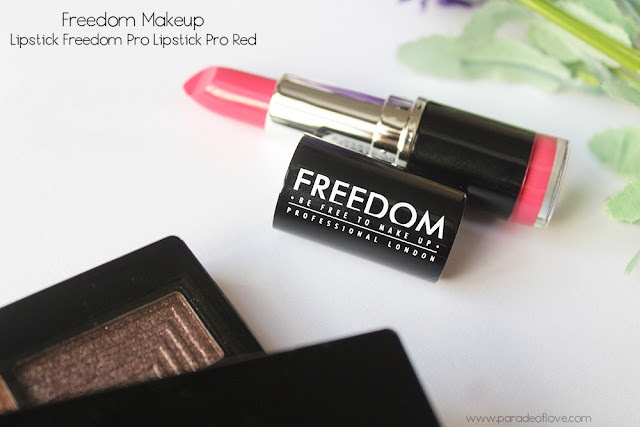 Makeup Revolution has a sister brand, Freedom Makeup London! The best part? You can easily get them in Singapore now! 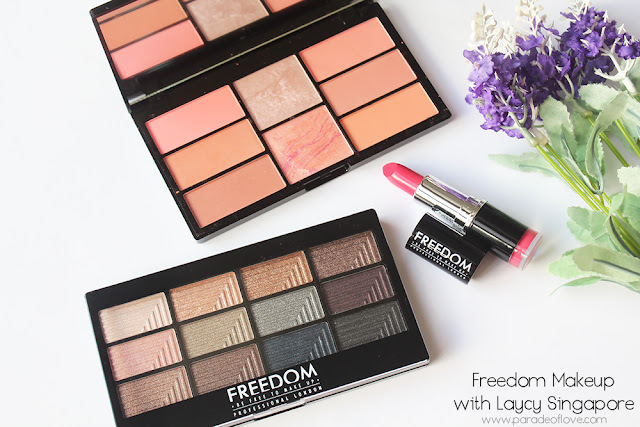 Laycy Singapore, if you haven’t known, is the company that carries several makeup brands such as Australis, Freedom Makeup, BH Cosmetics and Beauty UK in Singapore. For the purpose of this review, I’m going to introduce you to Freedom Makeup with products I chose! Courtesy of Laycy, I’ve picked an eyeshadow palette, a blush palette and a universally flattering lipstick shade so that I can create a makeup look for this review. 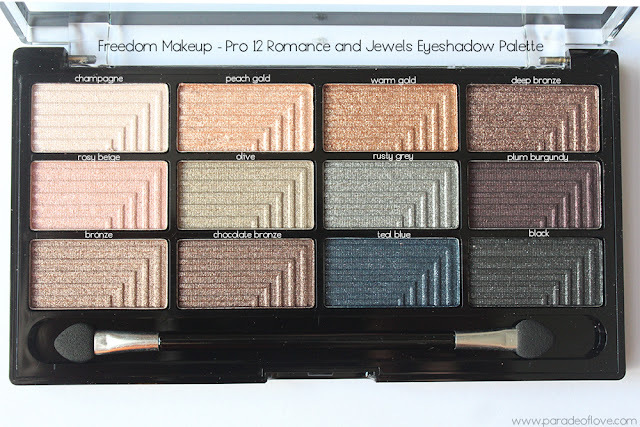 The product I was instantly drawn to was the Pro 12 Eyeshadow Palette in Romance and Jewels (S$15.90). You know me, I love my eyeshadows. Even though I may already have a ton of similar shades, I am still looking to explore more brands, textures and finishes. Part of the reason why this eyeshadow palette piqued my interest is because of the embossing on the pigments! Don’t they resemble the NARS Dual Intensity Eyeshadows?! So blatant but well, it looks nice anyway. Let’s see if they perform as well, shall we? There are 12 shades in this palette, housed in a plastic packaging. The packaging is made of cheap plastic but well, for $15, it’s not bad. It also comes with a dual-ended applicator which I’m most probably not going to touch at all. 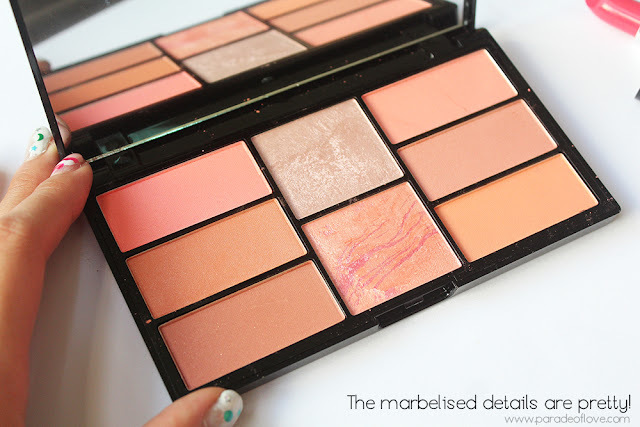 A good thing about the palette is that the eyeshadow pans are very wide, which makes picking up the colour easy and fuss-free. Reflective of its name, Romance and Jewels, this palette is all about jewel-tones, intense shimmery and glittery shades. 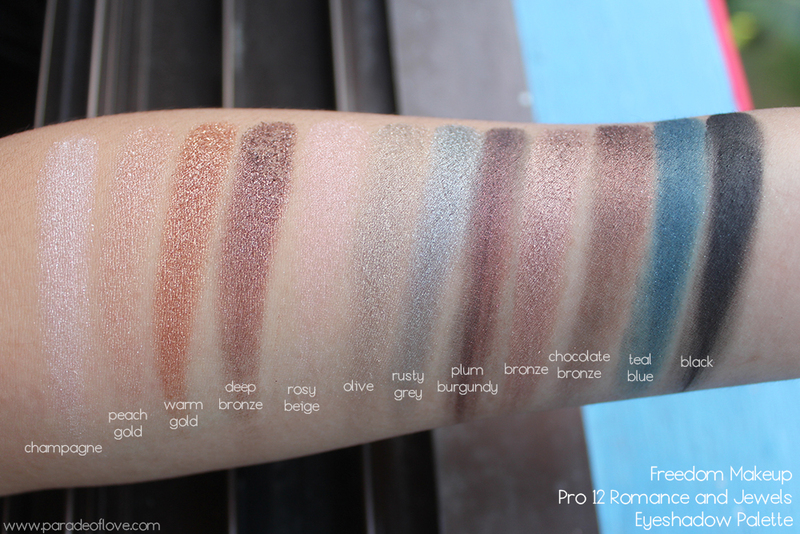 It would be perfect if they could replace one or two shades with matte browns for the crease because it’s a tad hard to blend and transition with just shimmery/metallic shades. 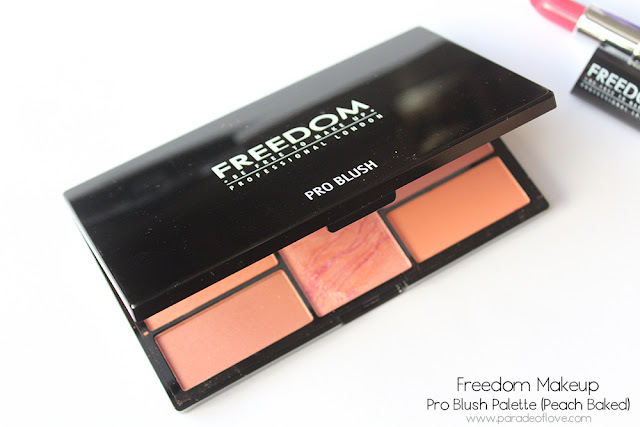 At its price, this palette is worth more than every penny you invest! They are all very pigmented, except the last 2 matte shades which I needed to swatch a few more times. They stick to the skin fairly well as well but warm gold and deep bronze are a little crumbly which tend to cause a bit of fall out. 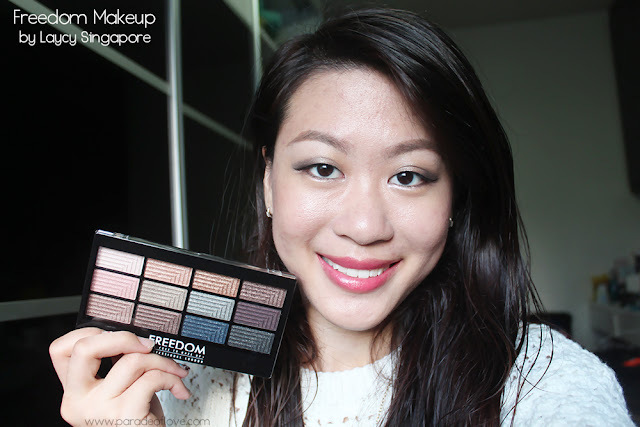 There are altogether 8 variants of the eyeshadow palette so do check them all out! 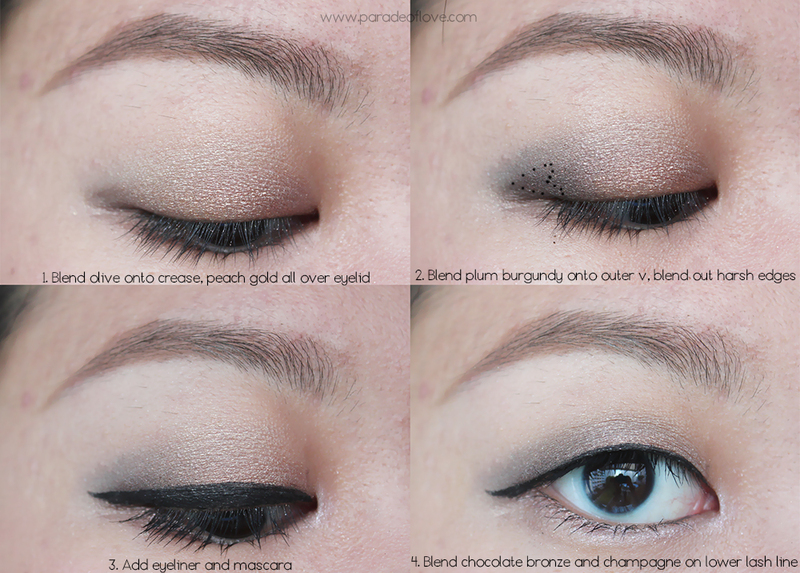 Here’s the look I created using 5 shades from the palette – olive, peach gold, plum burgundy, chocolate bronze and champagne. Another popular item in their makeup collection is the Pro Blush Palette (S$24.90). 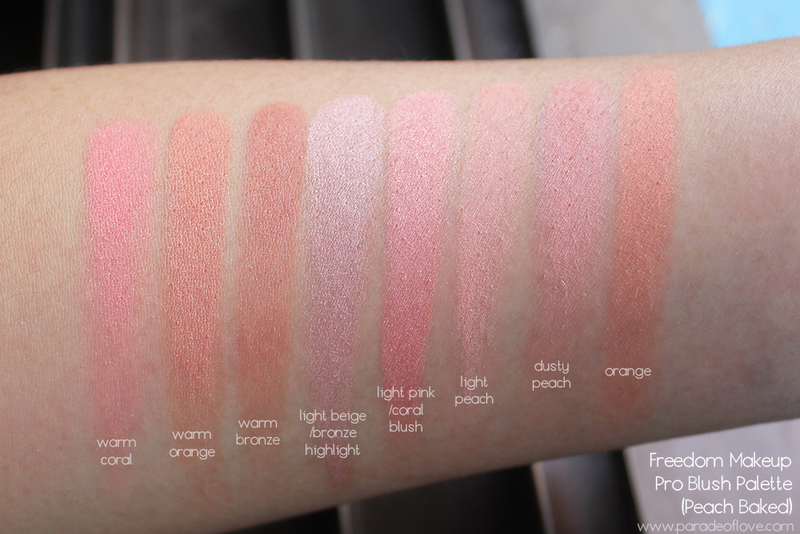 I chose Peach and Baked because the shades are easier to wear on an everyday basis. 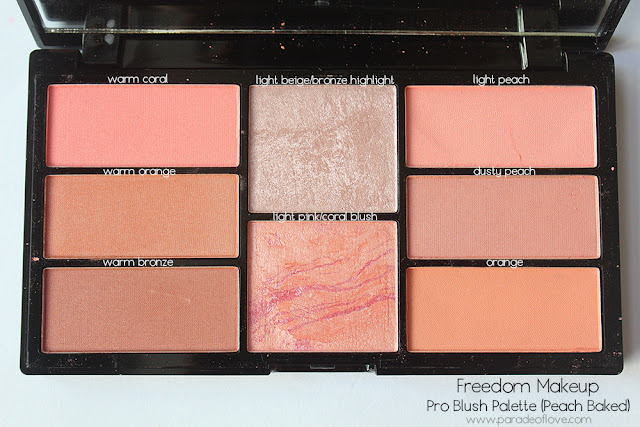 There’s a pink one and a bronzing/contouring palette as well. 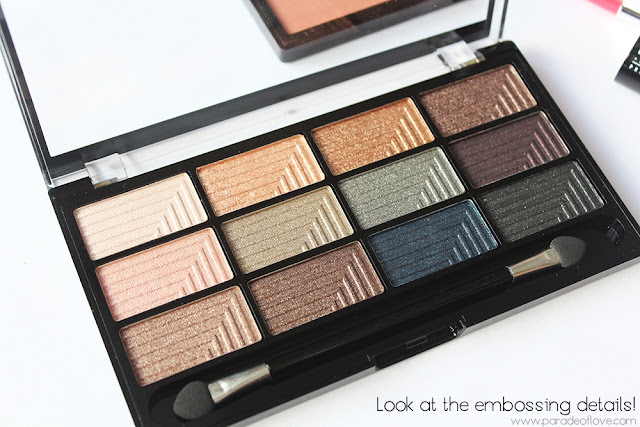 There are 8 shades in the palette altogether, a very handy palette to bring along if you want to have more options to play with when you’re travelling. It comes in a plastic packaging with a decently-sized mirror. Like the eyeshadow palette, they didn’t have names for their shades (I wish they did though) so I named them based on what sort of colours they are. Of course, to finish up any makeup look, you need a matching lipstick! At S$5.90 a pop, the Lipstick Freedom Pro Lipstick Pro Red is a steal I tell you! Not that I am singing praises for the brand but seriously, you just need to look at my lips below. The shade I chose is 110 Born With It. It’s a bright cheery coral-red that’s very flattering on most skin tones. 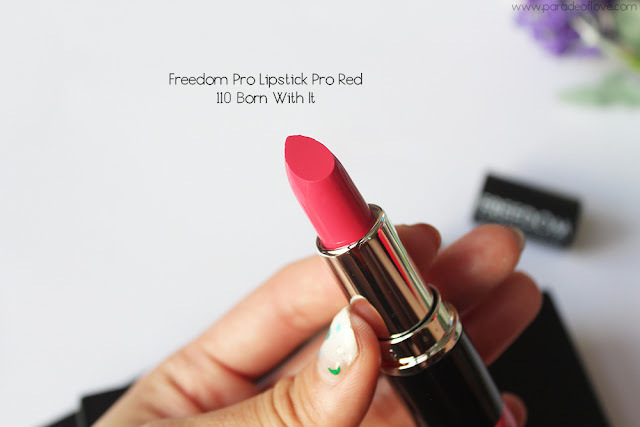 With such a vibrant colour, it will bring life to a dull complexion, even with minimal makeup. You’ll definitely look 10 times put together with this shade. See what I mean? The lipstick shade is probably the highlight of my makeup look. I didn’t edit this photo at all, so you can see the intensity and the shine of the lipstick (including every flaw on my skin, hahaha). Doesn’t it make my lips look juicy? Because it’s moisturising! 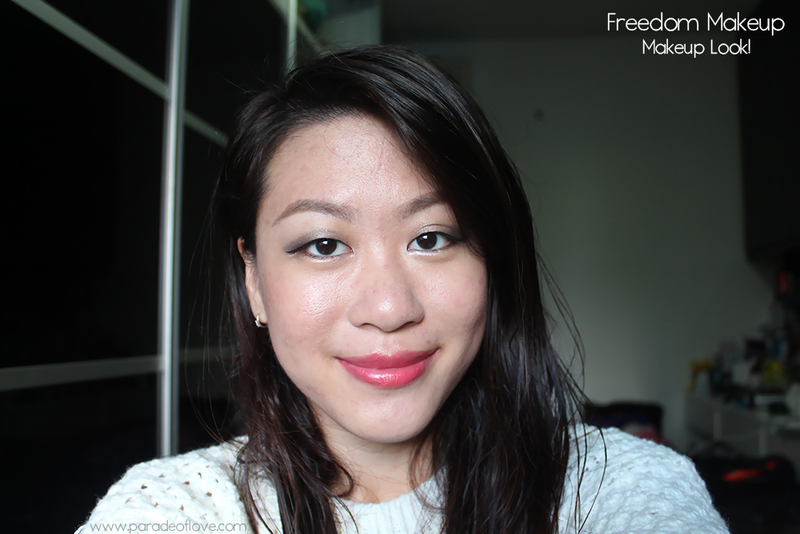 This is the final look with all the products used! 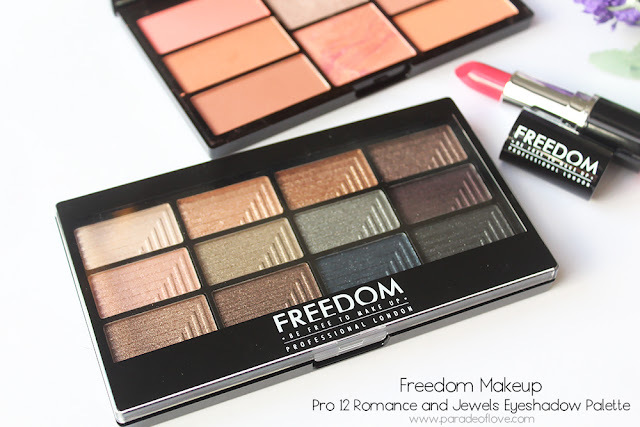 If you are looking for affordable yet quality makeup products, I suggest giving Freedom Makeup a try! You can get it on Laycy Singapore’s website here. Disclaimer: Products were sent to me by the team from Laycy Singapore. The above review is based on my true and honest opinion without influence from others. I am not affiliated nor compensated by the company.